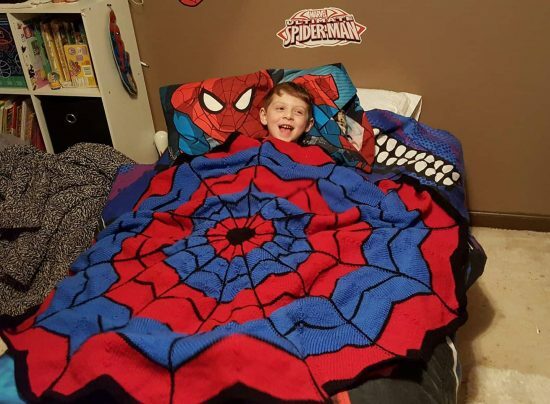 Your Spiderman fan will love this Spiderman Knitted Blanket that resembles a big colorful spiderweb and it’s a fabulous free pattern. 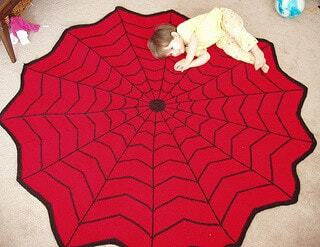 It’s perfect for snuggling with or popping over the top of your little one’s bed. 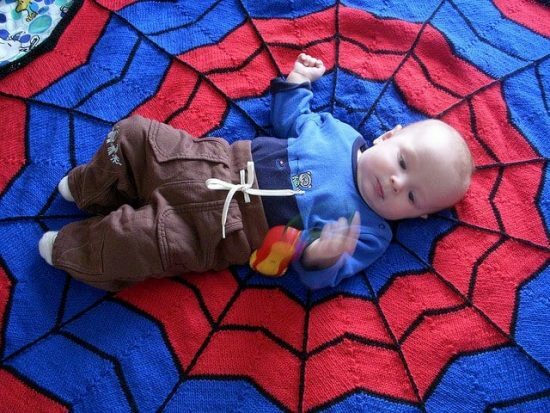 We’re sure it will be a new favorite. 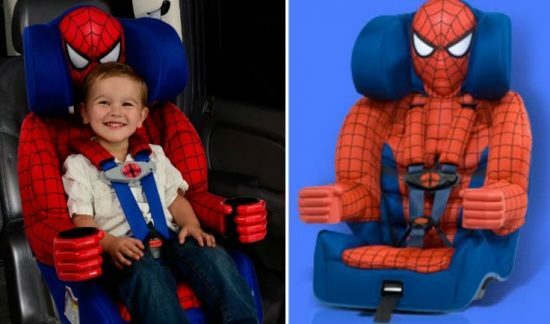 You’ll even find a Spiderman Booster Seat further down our post that you will love. 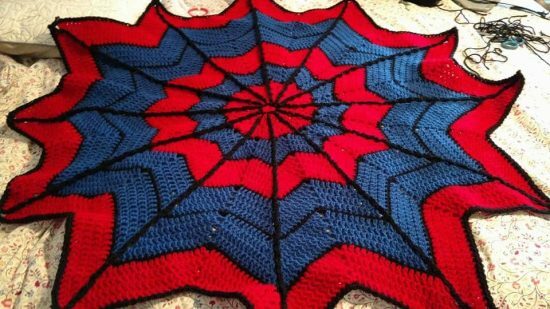 Check out the other Superhero projects including Ninja Turtle Crochet Projects and Batman Crochet too. You’re bound to find one you love. Don’t forget to Pin your favorites as you go. 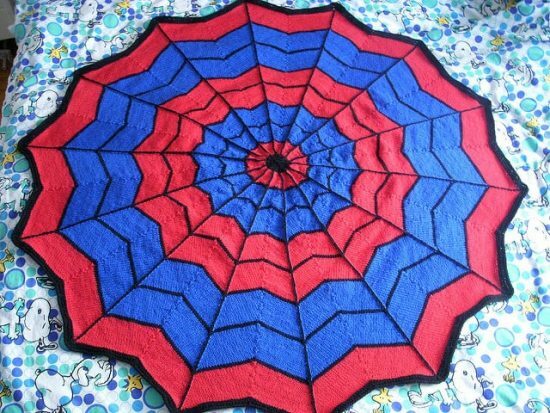 You can get creative as you like with this pattern and you are not restricted with colors. 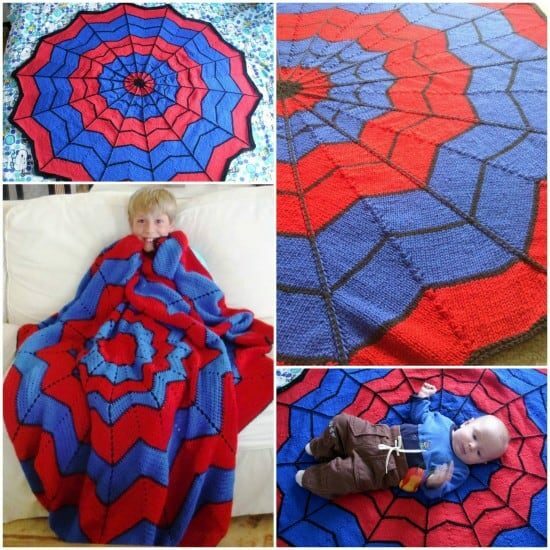 Let your imagination run wild and see what else you can turn the pattern into.